주식이라는걸 해보고자 마음을 먹은지 2년정도가 지났다. 초반엔 장도 좋고 운도 좋아서 약간 재미를 보기도 했다. 그당시 내가 조달할 수 있는 전부를 주식에 쏟아 부었다. 약간의 이익, 약간의 손실을 오가고 있을쯔음..
항상 스탑로스를 걸어놨었는데 딱 하루 안걸었더니 그날 갑자기 주가가 폭락을 했다. 스탑로스는 5%에 걸어두었는데, 7%정도 손실을 본것이다. 난 흐름도 제대로 읽지 못하면서 미련을 가지고 주식을 계속 가지고 있었다. 한주가 더 지나니 25% 손실. 하루가 다르게 손실은 커졌고, 한참 폭락했을땐 원금의 60%까지 폭락한적도 있었다. 급하게 돈이 필요한 일도 곧 생기고 해서, 주가가 상향곡선인 오늘. 원금의 40%의 손실을 보고 팔았다. 책도 보고, 동호회에서도 그렇게 중요하다고 강조했던 말들이 직접 겪고 나서야 몸에 새겨진다. 마음에 새기고, 다시는 같은 실수를 하지 말아야 겠다. '사람은 실수 할 수 있으니까?!' 라고 자기 위안을 하며 다짐을 한다. 물론 앞으로 얼마의 수업료가 더 들어갈 지 모른다. 나만의 방법을 찾아내자! ㅇㅏ ㅈ ㅏ! I started it that stock since 2 years ago. I got some profits in the early days. I got courage and put all of available money to stock although it's not my own ability. I had pledges likes that. Stock price was crash that day I didn't setting stop loss when I got some profit and some loss. I didn't read a flow, but I grabbed stock with stupidity. 25% loss after another week. 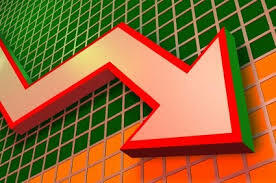 Loss increased day by day,and I loss 60% at peak. I think stupidly like 'Whenever It rise up.'. But I need money for payment soon. Then I sold it today with 40% loss. It carved me that important rules that I've read books and community. But it's tuition for future. I don't know how much money for tuition. I can get my specific own method! Cheers! 어떤 영화일까 궁금해서 보게 되었다. 드라마와 액션 그 무엇하나 부족하지 않은 영화 였다. 점점 영춘권에 관심을 가지게 되었다. 생각이 딴곳으로 흘러갈때쯤 영화는 끝났다. I heard about this movie from some friends. That made me curiousful then I saw it. It was great as I heard. It catch both drama and action. I intereted in Martial arts, Kungfu. Because I facsinated Wing Chun. The movie finished during I think like this. 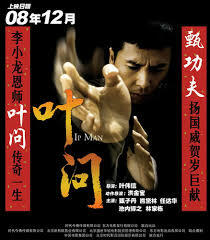 Interesting Ip Man! Gorgeous master Ip! 빵을 만들어 먹다. - I ate cake that I made. 나도 어무이도 빵을 참 좋아한다. 라는 천사의 속삭임 같은 이야기를 꺼내셨다. 나는 집에 갈 때마다. 수제 식빵이 있기를 기대했으나..
집에가보니 어무이께서 식빵틀을 사놓으셨던 것이다! 나도 모르게 환호를 하며, 어무이께 여쭈었다. "이제 빵을 만들어 먹을수 있는건가요?!" 라고 말씀하시며, 파운드 케잌 믹스 라는 봉투를 주셨다. 다음날 아침 나홀로 조조영화를 보고 와서는 파운드 케잌을 만들기 시작했다. 냉동실에 잣이 조금 있으니 넣자. 아니 이건 계피가루?! 계피향도 좋아하니까 넣자. 건포도?! 이런건 원래 파운드 케잌용이지! 이런! 기본에 충실한 복병이 숨어있었을줄이야..
하지만 그 복병도 나의 식탐을 이겨내지 못하고 쓰러졌다. 꽤 먹음직 스럽게 보이는 파운드 케잌이 완성!! '세상에나, 이렇게 부드러울수가 없어요!' - H군. My mother and I like bread so much. A friend of mine visted our home when I was young. The origin of incident is like this. "Price of bread is expensive. I will make my own bread at home"
I expected home made bread every time when I go home. I ask it surely this time when I go home cause I thought bread again and again. When I go home, Mother bought bread frame! And I ask mother "Can I create my own bread?" Mother said "Yes, make your own ones." And gave me a bag 'Pound cake mix'. That night mother and I drink some wine with fried pork kimchi, friend anchovy,baked laver. 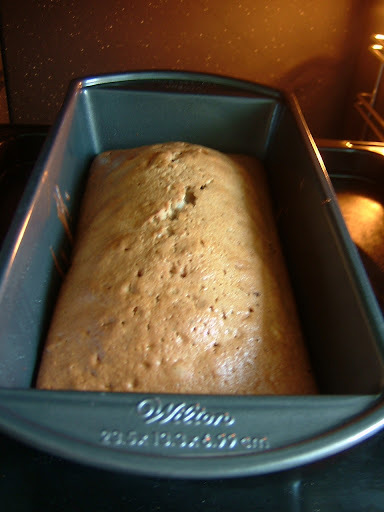 Next morning, I made pound cake after I saw movie alone and back home. Put the butter microwave for melting. Cover frame with parchment paper. Gosh! I don't have parchment paper. I missed it, but I can cover with edible oil. I like walnut, but I don't have it. Nevertheless I have pine nut on a freezer then put it. I like chocolate, put it! oh! cinnamon powder? I like it, put it. Raisin?! It birth for pound cake. Put it to preheated oven. Finish the pound cake looks like delicious after baked 40 minute. I got a good rate.